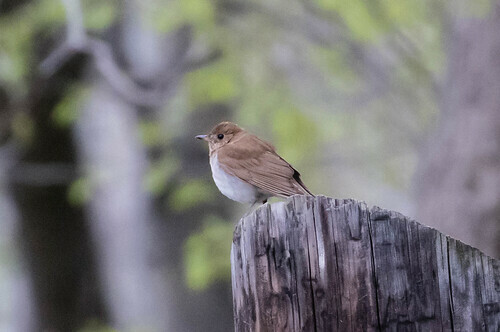 Our Veery on the same post we saw a Hermit Thrush a few weeks ago. 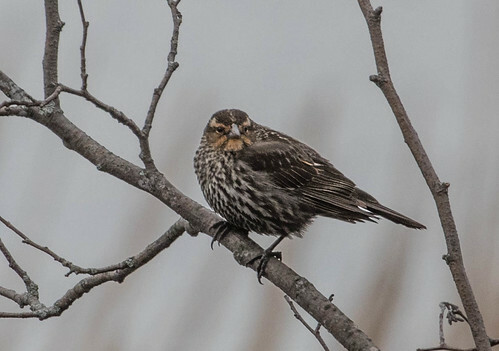 Migration is progressing way more slowly than I'm used to, but we're seeing more warblers and other migrants, and a few new birds seem to be establishing territories now. Orioles were everywhere, though they weren't as cooperative at showing themselves for the first hour or two, so some of the people who had to leave early didn't get as nice looks as those of us who stuck around. I didn't get any photos, though. Even before we left the parking area we heard our first Veery of the day. One perched on the same post as a Hermit Thrush did a few weeks ago—disappointingly, I'd neglected to photograph that one. But I did get today's Veery. Warbling Vireos are back—they'll most likely be nesting in the trees along the river. We had a nice sampling of warblers, but not many individuals of any one species. 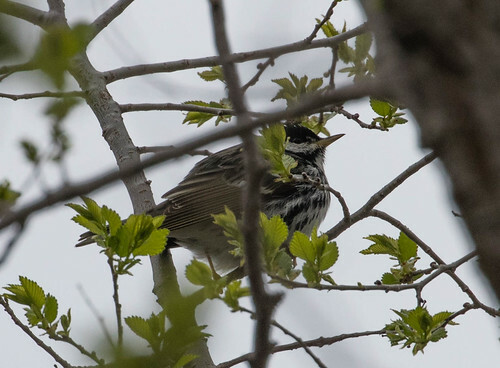 The only one I got a photo of was one of our last additions to our list, a Blackpoll. 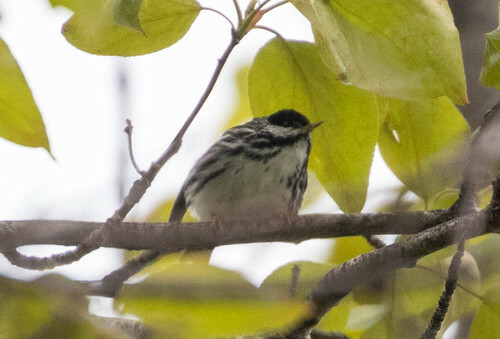 Here's how the Blackpoll Warbler usually looked. Here's when he came out for maybe 2 seconds. 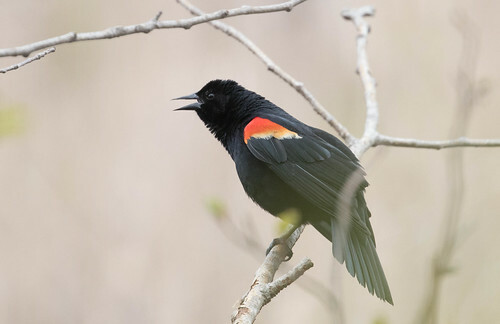 Red-winged Blackbirds were exceptionally active, males chasing females, females gathering nesting materials, males displaying and making a wide spectrum of their vocalizations. During the time we were birding, I was getting a few messages about cool birds showing up on Park Point, like a Little Gull and two Red Knots. I do hope that people who left early to head there got them! I couldn't find them when I was done with the walk. I would be very excited to see a black poll...I can't seem to get one in sights!! Lovely shot.